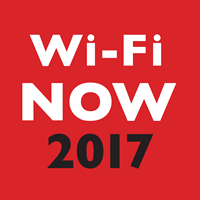 The 2017 Wi-Fi Now Expo and Conference, the world’s premier Wi-Fi event, will be taking place at The Hague, NL between October 31st and November 2nd, 2017. The conference offers attendees the opportunity to meet leaders, entrepreneurs, innovators, and experts from the full spectrum of the Wi-Fi industry, offering an unparalleled opportunity for learning, networking and knowledge sharing. The W-Fi Now Expo and Conference is the only event in the world that is 100% devoted to the Wi-Fi industry and draws attendees from around the globe. The event consistently receives glowing 4/5-star reviews across the board for its speakers, panelists, exhibitors, topics, and venues. This year’s Wi-Fi Now Expo and Conference promises to be bigger and better than ever before. Over the three-day event there will be 9 analysts and thought leaders delivering keynote speeches, 11 carriers and service providers and 29 technology leaders providing their valuable insights to attendees. More than 40 leading Wi-Fi companies will also be in attendance and will be demonstrating their products and services at the event. TitanHQ is proud to announce that Sales Director, Conor Madden, is a headline speaker at the event. This is now the fourth time in two years that Conor has been selected as a speaker at Wi-Fi Now conferences. Conor will be explaining how Wi-Fi filtering can vastly improve an organization’s security posture and will be providing key insights into how organizations can create customized Wi-Fi services in the Four Great Innovations in Enterprise Wi-Fi – Part One session on Day 1 of conference. TitanHQ are the global leaders in Wi-Fi content filtering and Wi-Fi security, enhancing the security of more than 6,500 enterprises and businesses around the globe. The TitanHQ team is constantly enhancing and refining its web filtering technology and works closely with partners to ensure they get the maximum benefits from its products. The TitanHQ team will be available at stand 23 on all three days of the conference. If you are interested in finding out more about WebTitan content filtering solutions and the benefits they can bring your business and your clients, be sure to stop by. The TitanHQ team will also be demonstrating the product and some of the big-ticket deployments from the past 18 months. Advance registration for the conference is required. Tickets are available on this link. If you are unable to attend the Wi-Fi Now Expo and Conference, the TitanHQ team will also be attending the IT Nation, ConnectWise Conference in Orlando, Florida. The conference takes place on November 8th-10th at the Hyatt Regency.